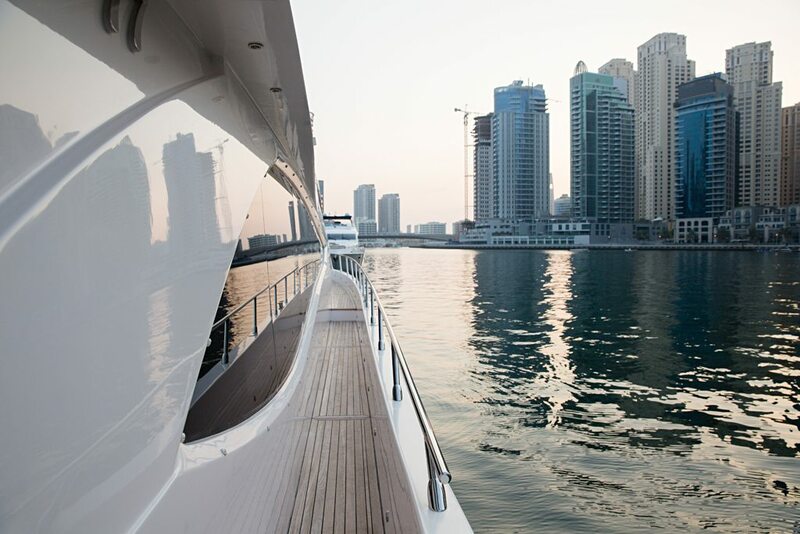 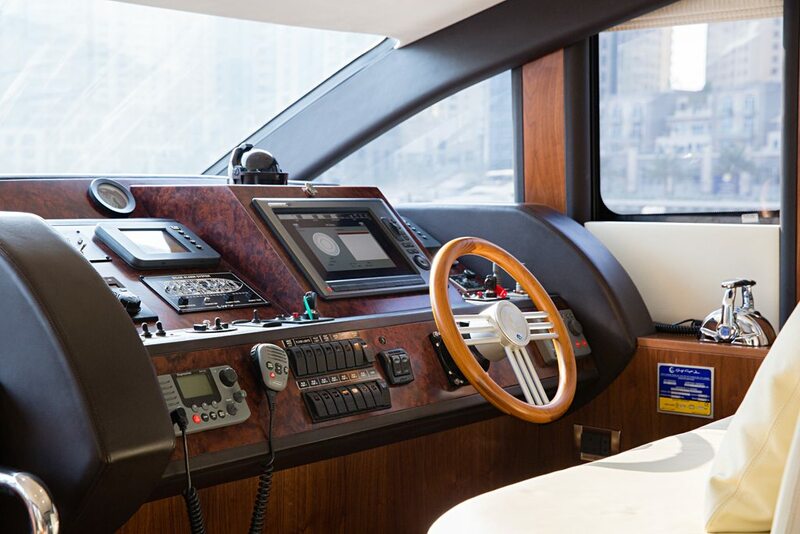 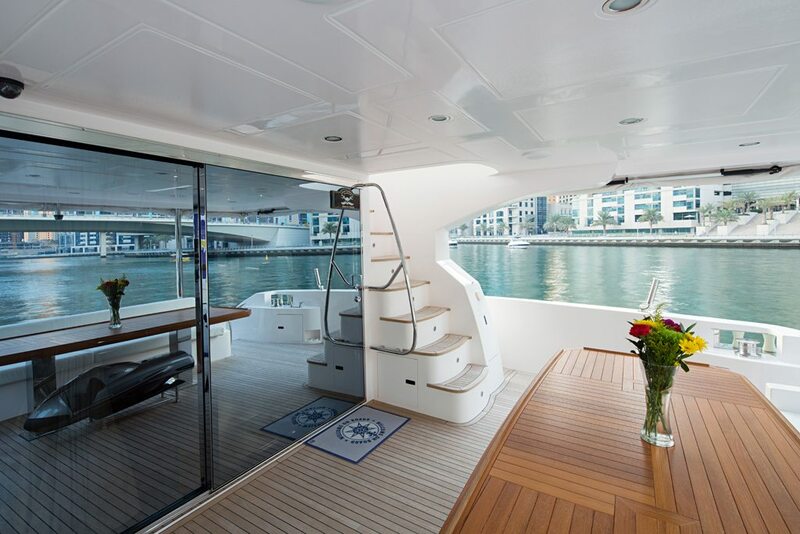 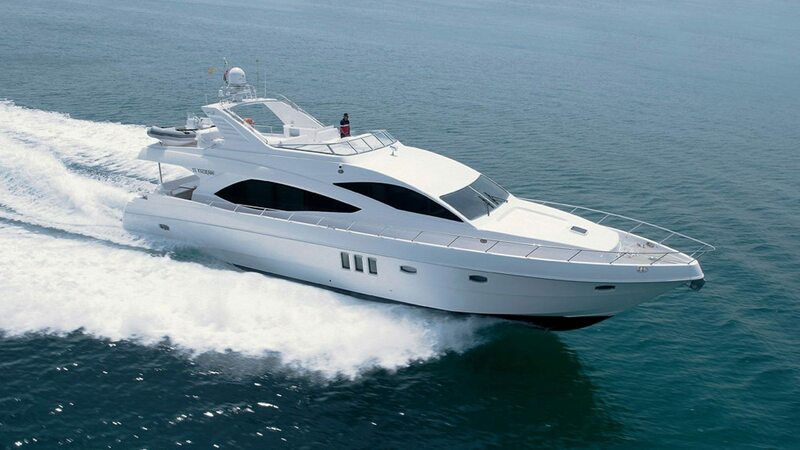 The Majesty 77 is a very successful model of the Majesty-Yachts range from Gulf Craft. 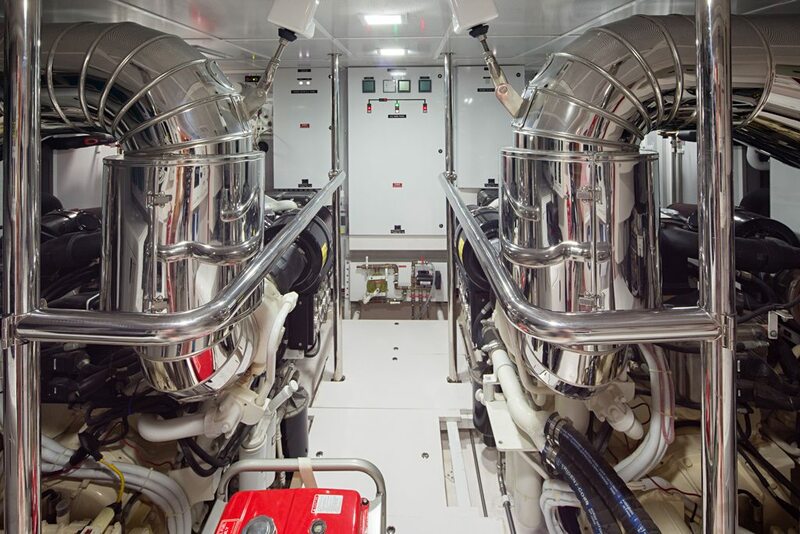 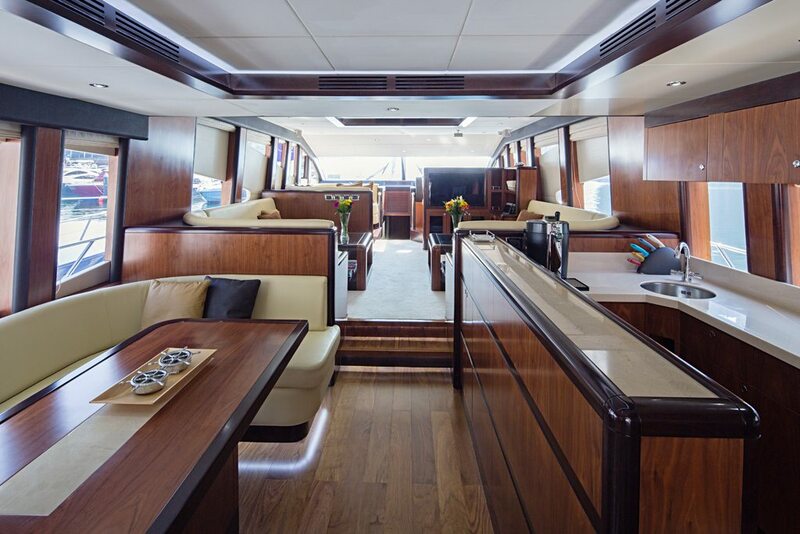 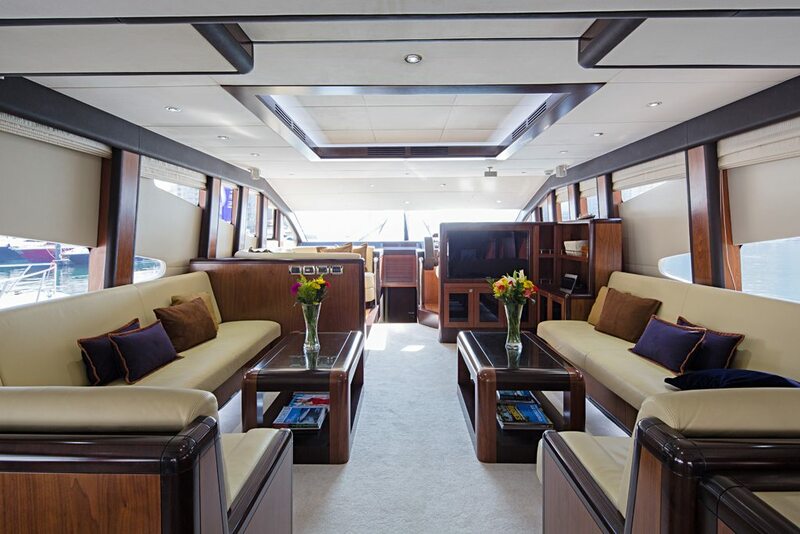 The cabin layout includes an over the entire hull width extending owner cabin, which of course has its own and spacious bathroom, as well as a walk-in closet and a large window front. 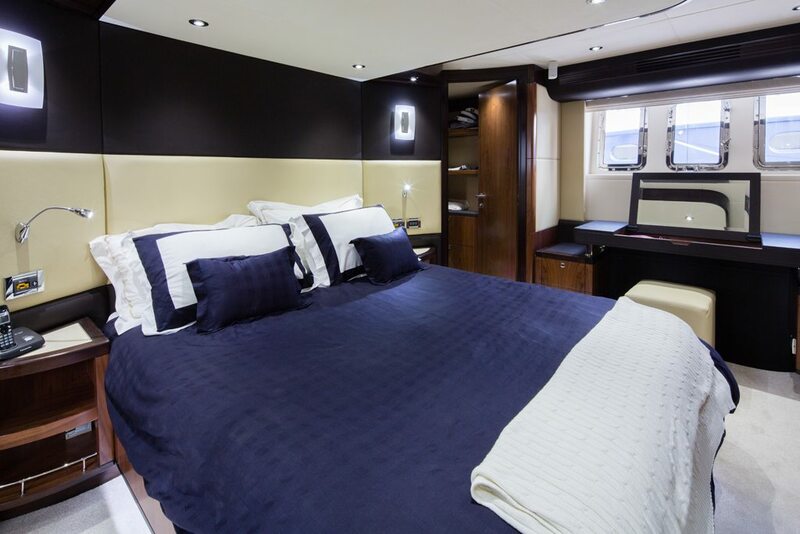 There are also three additional guest cabins, each with its own bathroom, as well as an optional crew cabin.